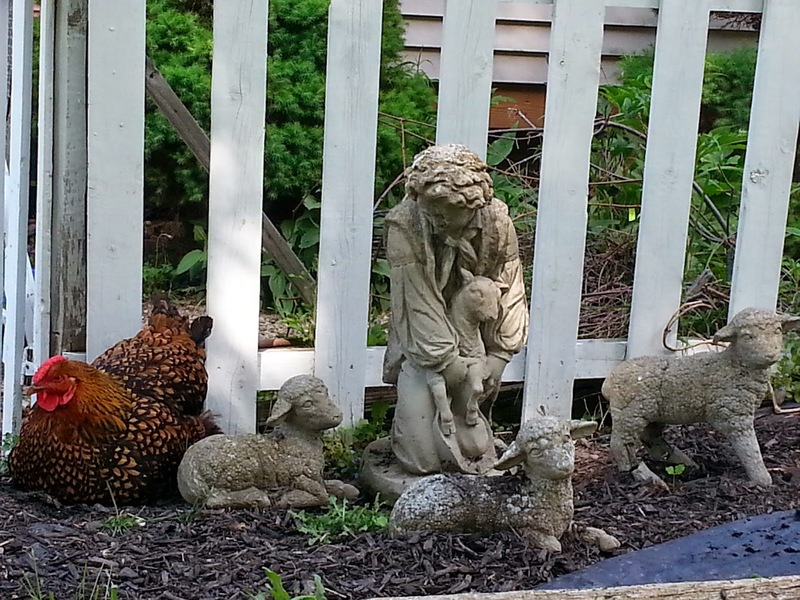 Harvest Thyme Homestead: Every Shepherd Needs a Chicken....? Every Shepherd Needs a Chicken....? Sometimes my chickens sense of humor makes me laugh. Not sure what image she was going for but I hope she is praying that I don't ruffle her feathers for scratching up all the mulch & ripping the weed block! Ah....the henners....gotta love them. She looks just perfect nestled there. Are you out of school yet? August can be so hot. The district is pushing for year round school.....that doesn't work for me! !